Mired in frustration from spending seven years working on a novel that will not end, as well as nursing a broken heart over his third wife's recently leaving him, English professor Grady Tripp finds himself on one long misadventure during his university's WordFest. This weekend-long celebration sets the stage for all the antics that ensue for Tripp, his long-suffering visiting publisher, a few of his students and his lover Sarah who happens to work as the university chancellor and whose husband is the English department chair. 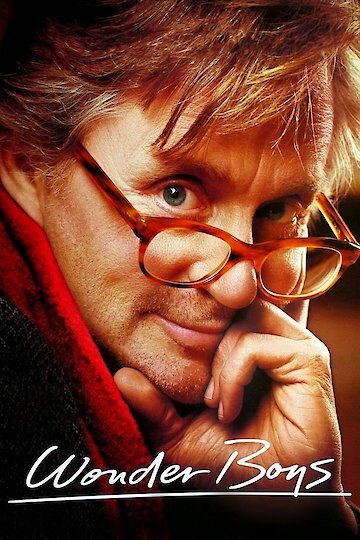 Released in 2000, Wonder Boys, based on Michael Chabon's novel of the same title and set in Pittsburgh, features a few notable landmarks from the various universities in the city. As the weekend kicks off, Tripp's publisher arrives, continually asking about the new novel and follow-up to his one-hit wonder. Tripp, his publisher and his guest, and Tripp's mysterious student James all go to the Sara's party to launch the weekend festivities. While there, James steals a valuable piece of memorabilia and shoots the couple's dog, setting off a chain of events that sparks changes for all the characters. Sara also lets Tripp know that she is pregnant with their child, which creates an impetus for change for Tripp. The weekend adventures center around a group of richly layered characters full of depth and surprises. Michael Douglas, Tobey Maguire, Frances McDormand, Robert Downey Jr.
Wonder Boys is currently available to watch free on Popcornflix and stream, download, buy, rent on demand at Amazon Prime, FlixFling VOD, Amazon, iTunes, YouTube VOD online.